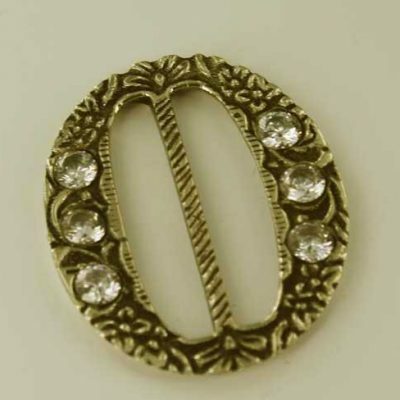 View cart “Rope Colonial Shoe buckle, brass” has been added to your cart. Although our tension buckle may not be of the period, it does look very well with the Martha and so easy to use. We have seen something like this used for a belt closer. 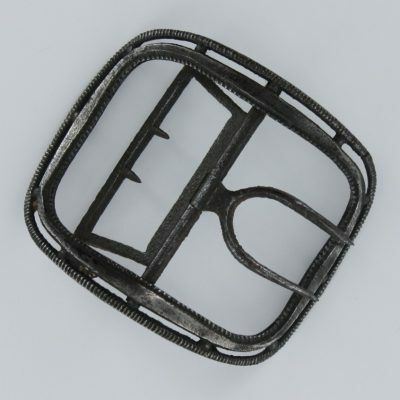 This buckle does not require any holes punched into the latchets. The white bronze Gem buckle can take up to 6 CZ’s. Either all one color or of your choice of combinations. Price is per pair $30.00. Of course to add elegance gem added to the buckle or even using the buckle with colored stones to match her gown would also make a statement of place in society. The Ribbon buckle, in White Bronze, is a smaller buckle that fits the ladies style, it is 1-7/8″x 2″ and fits on our 1-1/4″latchets. Reflecting the design of a ribbon, this Buckle is suitable for Ladies. Price is $35.20 per pair. White bronze, Ladies Plain buckle. 1-3/4″x 1-5/8″ opening 1″-3/16″. The price is $35.20. 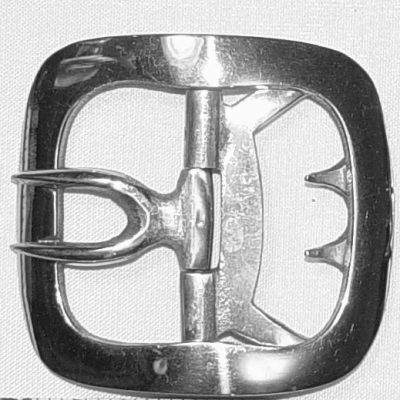 The Steel Colonial Buckle may have been the common buckle of the time. 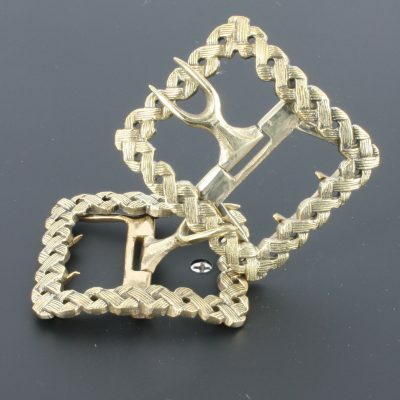 Basket-weave brass buckle: An interesting and unusual design in heavy brass. Takes a latchet of 1¼ inches. Price is $35.20 per pair. The Upper class might show off more elaborate buckles such as the Tudor, Swirl, Pierced, Great Thistle as they were or for the final show of financial accomplishment, have them studded with gemstones. In our case, we use crystal in gem colors. Brass or Silver metal is still, what goes with what you have to wear.